This postcard is a bit delayed but it relates to a museum which just blew me away during my time in America. Following on from Carlisle, PA I traveled by train to New York City. As this was my first visit I tried to see as many museums in as short an amount of time as possible. 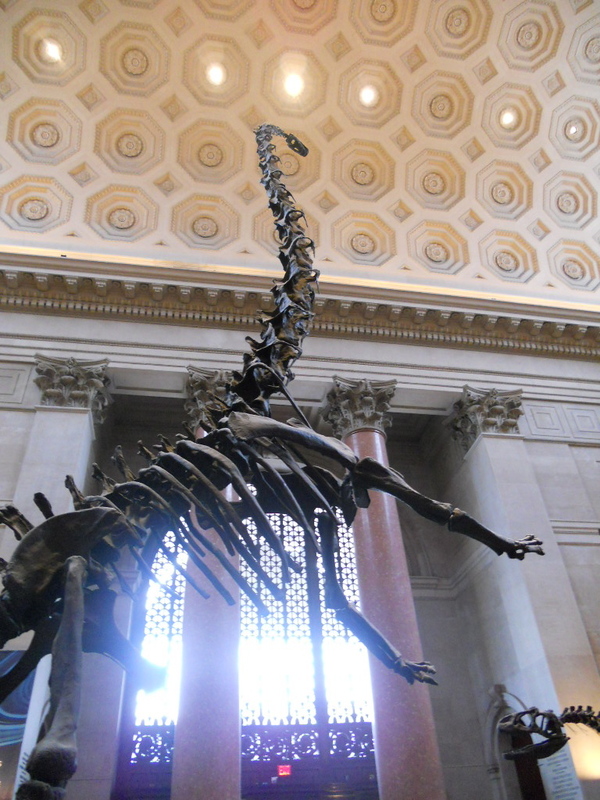 My first stop was the American Museum of Natural History which is on the Upper West Side, looking out over Central Park. The entrance (above) is almost overwhelming with its dinosaurs, murals and quotes from Roosevelt (after whom the hall is named). The Museum was founded in 1869 and is famous for its use of habitat dioramas. The most notable example of this is the Akeley Hall of African Mammals which opened in 1936. I am always a bit wary of dioramas, as in the UK outdated shop dummy dioramas were the stuff of childhood comedy or terror. However, the hall is named for Carl Akeley (1864-1926), a man who took taxidermy and dioramas to the level of an art form. It is difficult to make out in these photographs, but standing in front of these scenes you feel as though you have been transported to the location in question. 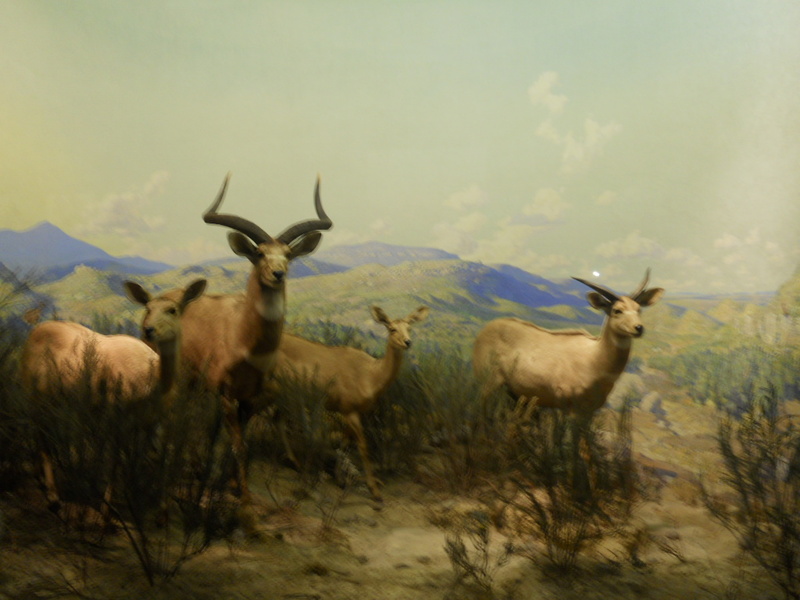 Many of the observations were made through expeditions, and the dioramas also convey the strength of emotion which these explorers must have felt upon watching animals in the wild. You can find out more about Carl Akeley via Milgrom’s infinitely readable and informative (2011) ‘Still Life: Adventures in Taxidermy’. It becomes tricky when this technique is applied to human beings. Perhaps more worryingly when it is applied to certain human beings and not to others. This image of a Tibetan couple in Lhasa with the Potala in the background is pure Shangri-La (see Dr Clare Harris’ ‘The Museum on the Roof of the World’ for more on the way that Tibet has been represented in museums). The museum does have a slightly retro feel but I wondered whether every audience member picked up on the significance of the timelag. The political consequences of presenting frozen images of ‘exotic’ cultures needs not a blog post but several books to discuss and I’ll try to add some references in the comments section. The animal collections are also challenging. Some species were being killed for taxidermy at a time when they were under extreme pressure. Carl Akeley himself realised this and, after seeing gorillas in the wild, actually established a reserve in Virunga. The Museum is well aware of its commitment to the preservation of the planet, with the Roosevelt quote ‘The nation behaves well if it treats the natural resources as assets which it must turn over to the next generation increased; and not impaired in value’ adorning the entrance hall. Overall its slightly retro feel was a dream come true to a museum professional. 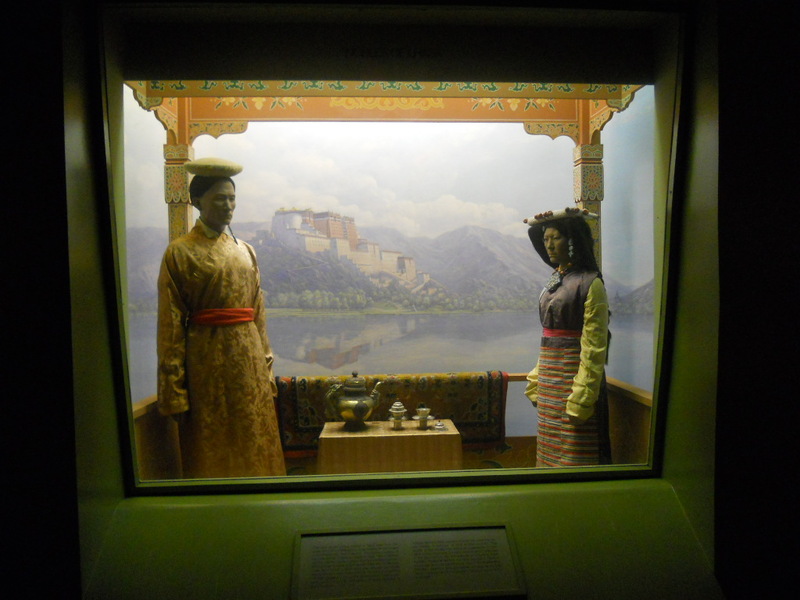 The dioramas are both popular and an important record of how we have thought about and represented our world. Yet the timelag in representation does cause problems in places. No doubt the staff grapple with these complexities on a daily basis, and it will be interesting to see how reflexive museology and anthropology translates to the galleries over the coming decades. 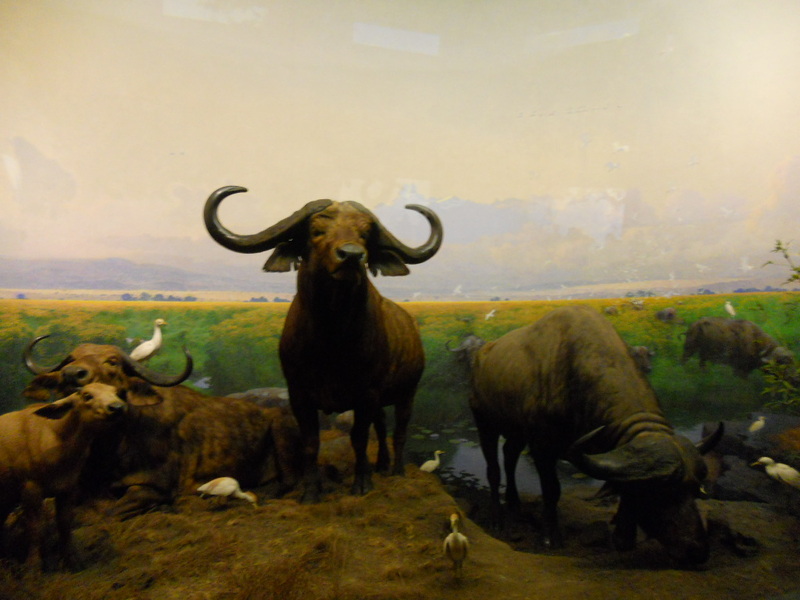 This entry was posted in Interpretation, Natural History and tagged American Museum of Natural History; Carl Akeley, dioramas. Bookmark the permalink. The big challenge I see is how to inform the museum visitor that these diorama displays have changed from “views of how things are” into “views of days gone by.” Search YouTube for “Revisiting Akeley’s Gorillas” for a video by the AMNH that addresses this. In the days before TV and color movies these dioramas were used to show people how things were in the world, now they have become artifacts. I’m often surprised by how long ago they were constructed. Sealed in their glass enclosures they can appear timeless, but when I’m visiting my local natural history museum I try to be sure to inform my guests that these are really “windows into the past” that have preserved a view that has changed quite a bit between then and now. The artists that constructed them often took pains to make an accurate, if artistic, recording of their world. As such they have become valuable historic records, but need to be re-labeled to reflect that. That’s a great point Brian it was only when I started to look at the ethnographic collections that I really became aware of them as historic items. That was only because I have anthropological training. I would love to see an art installation where these original locations are compared to the same views today.